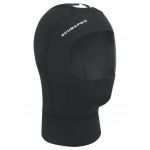 The Scubapro K2 light is an ultra-comfortable, lightweight undersuit designed for drysuit diving in warmer conditions or for wearing under another undersuit for extra warmth in extreme cold. The fast wicking material of the K2 helps keep you warm by rapidly transfering moisture and sweat away from your skin. We recommend the accompanying K2 Light Top to go with the K2 Light Pants. Fast Wicking - Modern fabric construction rapidly transfers water and sweat away from your skin keeping you drier, warmer and more comfortable. Flexible - The K2 light is super comfortable and stretchy, perfect for long dives. Neoprene or Trilaminate - Can be worn under both a neoprene or Trilaminate wetsuit. Who is the Scubapro K2 Light For? The K2 Light is a versatile undersuit that is useful in a variety of conditions from summer to winter and it’s a great way to further control your level of warmth when used as a base layer under a heavier undersuit.